Alotspace Review 2019: Is Alotspace a Good Hosting? Alotspace is a web hosting vendor established based on the extensive experience of its two German based parent companies, Zetta Hosting Solutions ltd and AttractSoft GmbH. The company offers a variety of hosting services for personal or business website projects. Alotspace is a German-based web hosting provider with lots of experience in providing an array of hosting services. Officially launched in 2006, the vendor has been providing shared web hosting, semi-dedicated hosting, VPS hosting, domain registration, SSL certificates, web applications, and website builders to businesses of all kinds worldwide. Today, Alotspace also has a significant presence in Bulgaria, the Netherlands, Serbia, and the U.S.
Alotspace servers operate on the secure and stable Linux with Apache and are equipped with SAN RAID Storage lined-up with physical quadrupled HDD RAID protection balancing the traffic load across multiple hard drives, enclosures, and storages.Their hosting plans come with free SPAM and virus protection to ensure that your data is always secured. These plans include shared SSL as well as firewall and password protection. Alotspace offers RAID data backups performed on a weekly basis, and their email solutions are secured with SpamAssassin and anti-virus protection. Furthermore, Alotspace web hosting packages include many unrestricted features as well as website builders and free content management systems that can help both beginners and experienced users quickly and easily build websites. The free applications can be installed by the Zacky automated app installer included in their shared hosting plans. Also included in these plans is a well-developed control panel with an easy-to-use and user friendly interface. Alotspace offers budget-friendly web hosting plans. They have a free web hosting plan that comes with many more advanced features than you would expect for a free hosting plan. Their VPS hosting package supports on-demand upgrades. The flexibility of this hosting package provides users with the option to purchase additional RAM, disk space, traffic, and CPU resources and get them with immediate effect. 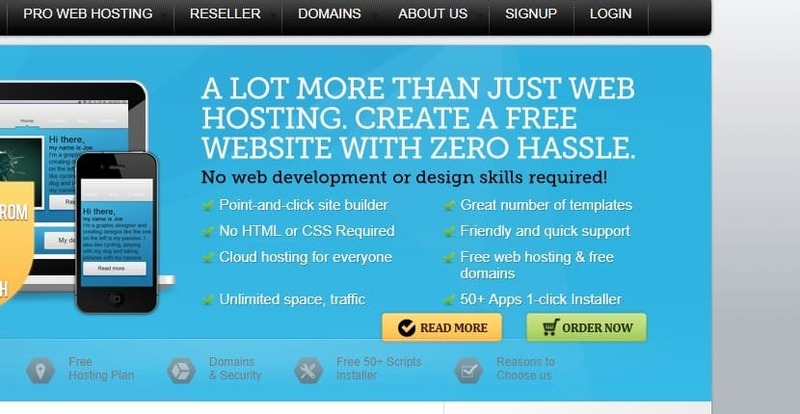 All of their hosting plans include a 30-day money-back guarantee. The prices of hosting plans on the Alotspace website are listed in dollars, euros, and pounds, and their network uptime guarantee is 99.98%. Alotspace has a dedicated support team of problem solvers. You can contact them via their U.S. or U.K. telephone numbers or the support email address they’ve listed on their website. Although they don’t have a live chat option, they have a ticketing system that is quite effective at solving most of the issues their customers raise. This customer support team is available 24/7 and has an average response time of just one hour. For clients who prefer a do-it-yourself approach to solving hosting issues, the vendor has a comprehensive knowledge base with a noteworthy number of blog posts, tutorials, and a detailed FAQ section. Whether you’re creating a blog, making a website for a small or large business, or hosting an established e-commerce website, Alotspace has the resources and the expertise to help you achieve your objectives. Their affordable hosting plans and the professional and courteous support team makes them excellent hosting providers. Check out Alotspace’s web hosting options today! Wondering how Alotspace stacks up against other Web Hosting companies? Enter any other Web Hosting company and we will give you a side-by-side comparison.